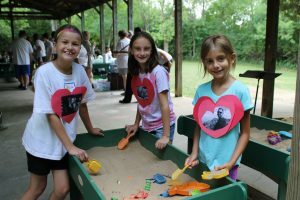 When a child loses a loved one, it’s easy for them to feel loneliness on top of grief – as if none of their peers “gets it.” To connect young people grieving a loss, and to help them find a healthy outlet for their feelings, JourneyCare will again offer Camp Courage this summer for ages 6-13 in the communities we serve. 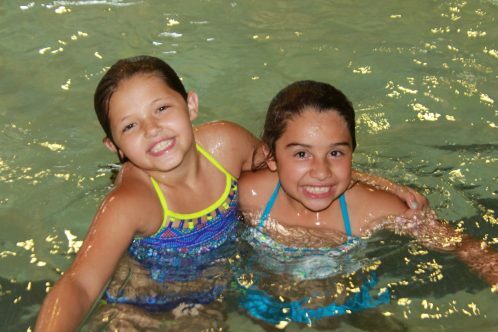 Camp Courage provides a safe, supportive and fun environment for campers to explore and express their feelings. Activities are led by professionally trained counselors and JourneyCare volunteers. Today, two of those leaders – Art Therapist and Manager of Integrative Care Services Megan Andriano and Child Life Specialist Jennifer Mangers – share what makes Camp Courage so special each year. Why is it important for children who have experienced loss to have an outlet like Camp Courage? 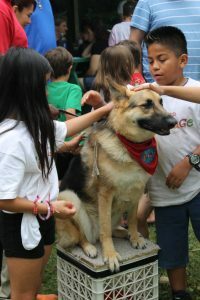 Andriano: Camp Courage is a space for grieving children to honor their loved ones and process loss through creative projects and fun camp activities. While Camp Courage incorporates a fun and full schedule, I believe one of the largest impacts is that children who have experienced loss can meet others going through a similar experience and know they are not alone. 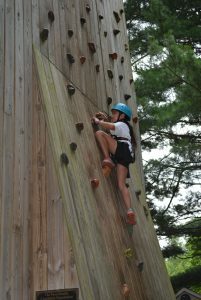 Mangers: Camp gives these children an opportunity to have fun, free of guilt or expectation, with other children who are experiencing similar grief. This can help with their ability to open up and engage with others. It’s also a really great time for kids to have fun and realize that, although someone they love has died, they can still smile and celebrate those people. What can kids who have never participated before expect from the camp? Andriano: They will meet others their age who have also experienced a loss. 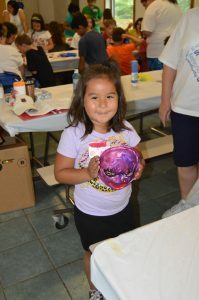 In these groups, they will have fun with organized activities, such as boating, rock-climbing, and tie-dying. They will also be able to engage in music and art projects that focus on honoring the memories of their loved ones, coping skills and validating all of the emotions that can come with grief. What memories have stayed with you from previous years of Camp Courage? Andriano: There is a showcase on the last day of camp, where each group presents a project to their families that they have created to honor the loved one they have lost. Laughter and tears are seen throughout the audience as children share fond memories and express feelings about their grief. Every age group presents with such honesty and insight; it’s so moving. I remember a group I had the honor of being a counselor in a couple of years ago: they rewrote the words to a popular song to portray each of their memories, all while doing a percussive performance with plastic cups. Each child was empowered to use their creativity as a coping skill, while also learning that their feelings are valid and talking about these memories is okay. Mangers: I love everything about the kids who come to camp. My favorite memories always circle around the kids who make the greatest change; the ones who showed up uncertain and scared, perhaps not wanting their families to leave and not happy about being there – then watching them open up all week and make friends. It’s truly a testament to how wonderful camp can be when these kids leave with new friendships, seeing how easily they interact with others in the group, how easy it was for them to open up, and how much fun they are having. What else should everyone know about Camp Courage? Mangers: I LOVE Camp Courage! It’s my favorite week of the year! I love the counselors who help us and dedicate a week of their time to volunteer and help these kids. I love the parents who drive them there each day so they can benefit from this great program. I’m so lucky to be a part of it! 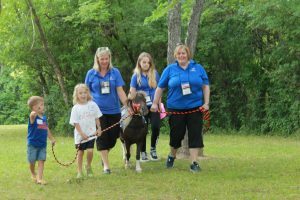 Camp Courage 2017 will run July 10-14 at YMCA Camp Duncan in Ingleside from 9 a.m. to 3:30 p.m. Monday through Thursday; 9 a.m. to 1 p.m. Friday. There is no cost to attend Camp Courage, thanks to the generous support of our donors, community partners and families. All eligible campers are welcome, but please note that space is limited and bus service is not provided. Priority will be given to first-time campers. Apply online here and a counselor will contact you. For more information on Camp Courage, as well as 2017 bereavement programs for high school-age youths, call 224-770-CARE.